This coming Sunday in the United States we celebrate Fathers's Day. And who better to inspire us than our dear old dads! 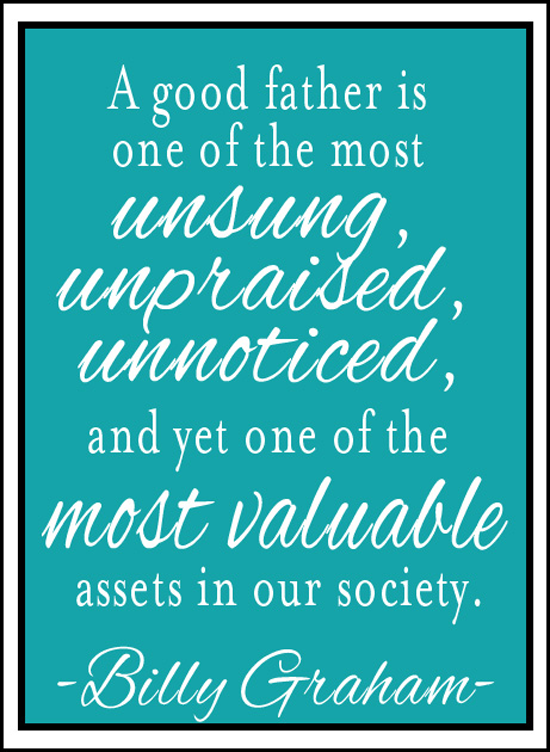 Our dads taught us a lot (and continue to teach us! 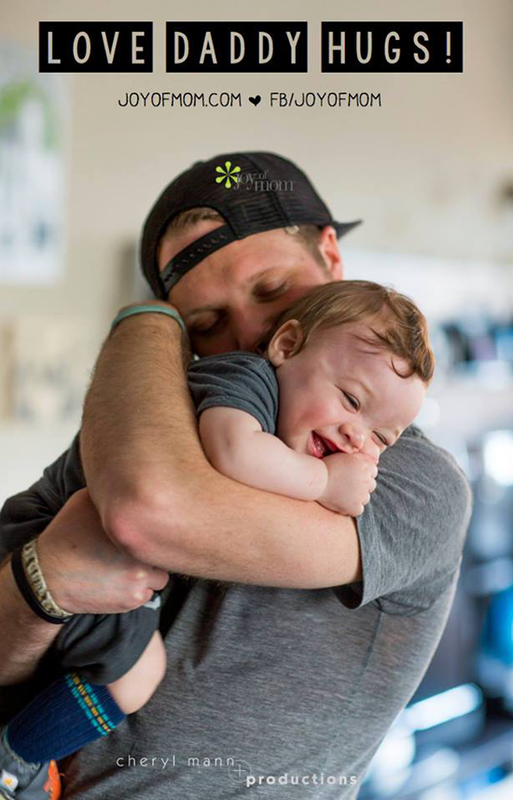 ), so let's hear it for dad — for all he does for us! I'm betting that your dad has made proud, made you grateful, and made you laugh, too. 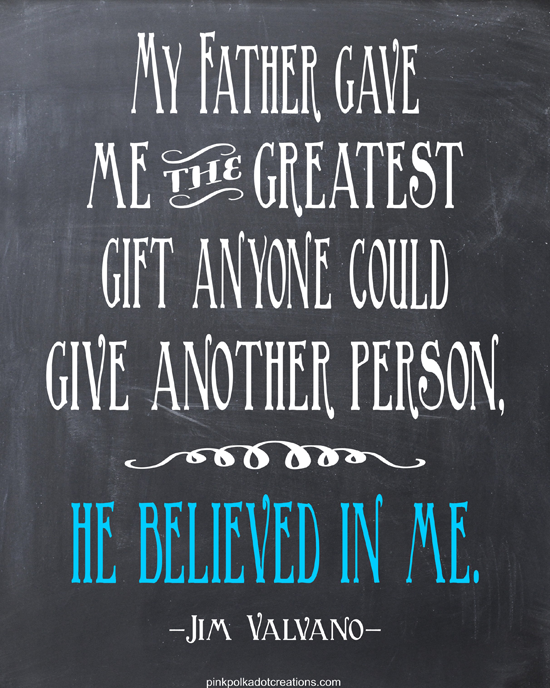 Here's to all of the wonderful dads, step dads, granddads, and father figures in our lives! 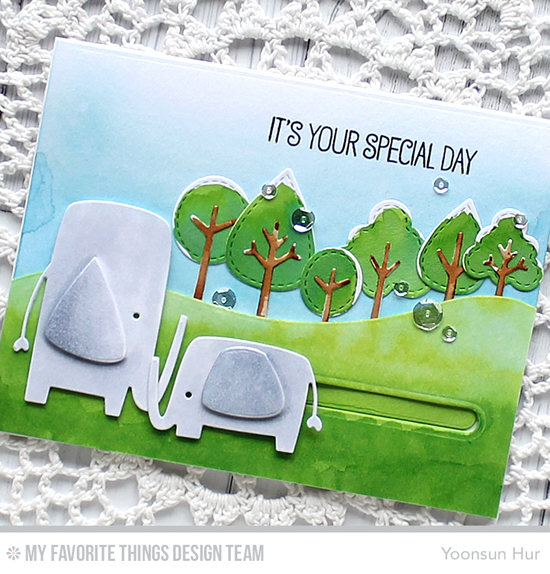 Yoonsun created this adorable slider card fitting for a caring dad. Her use of the Jungle Friends, Trees in the Forest, and Surf & Turf Die-namics is simply sweet. Perhaps your daddy is a stylish dude! 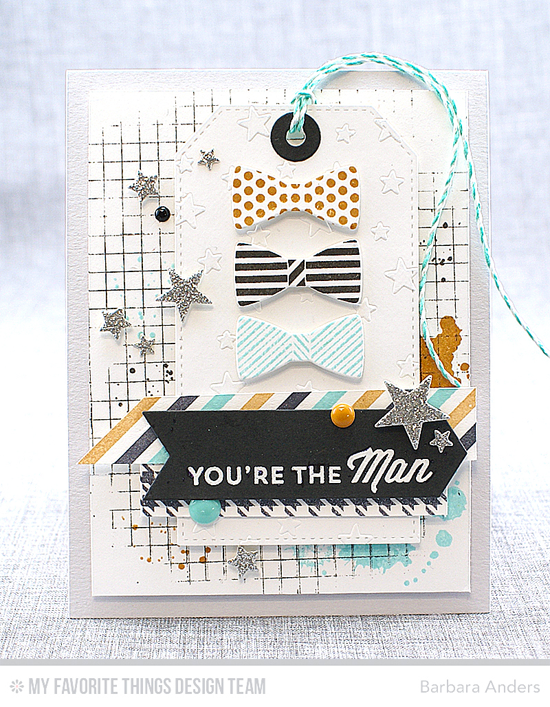 This card by Barbara featuring the Terrific Ties stamp set and Die-namics is a perfect fit. I grew up in the country, and plenty of my classmates and friends lived on the farm. 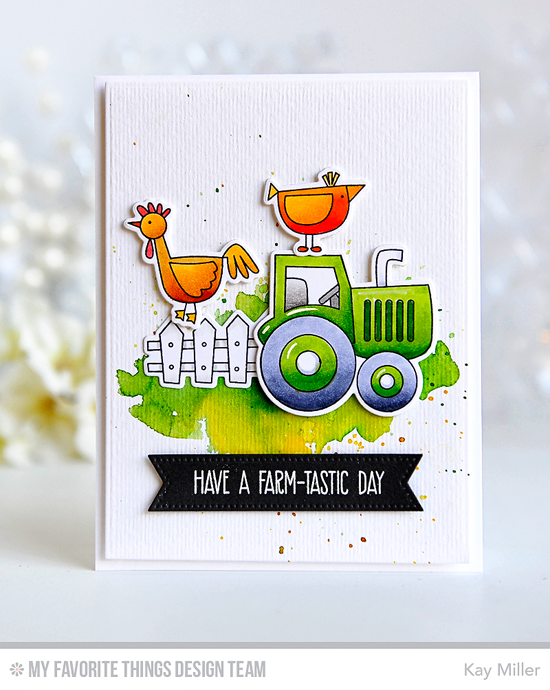 Celebrate farmer dad like Kay did with this charming scene created with the Farm-tastic stamp set and Die-namics. Maybe your dad is a gourmet cook, always serving up his specialty to put some yum in your tum. The Recipe for Happiness stamp set and Die-namics that Stephanie used would be just right for the culinary man in your life. Got a dad who loves to spend time in the wood shop or the garage puttering away on any number of projects? 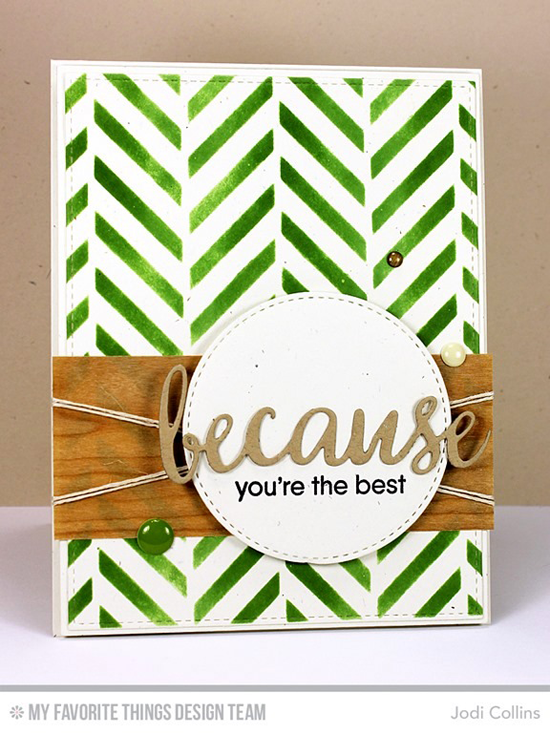 Jodi has a cool card idea for you using wood paper (LOVE!) and the On the Diagonal stencil that looks a bit like tire treads. 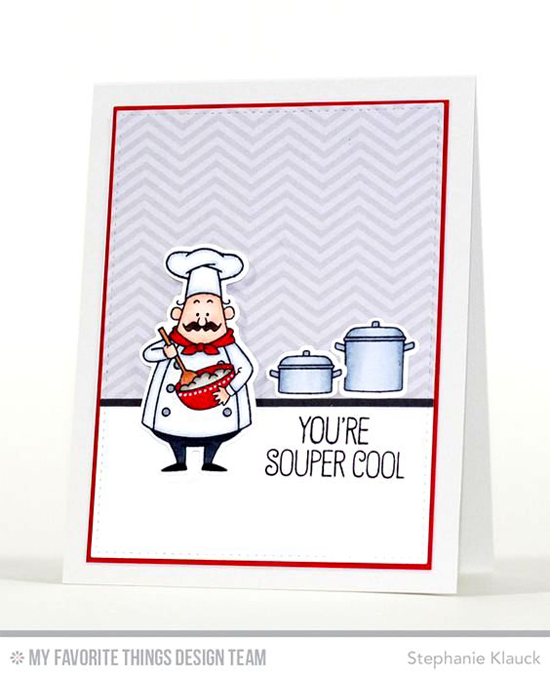 The nerdy (or smarty pants) dad will guffaw at a card like this one by Donna. 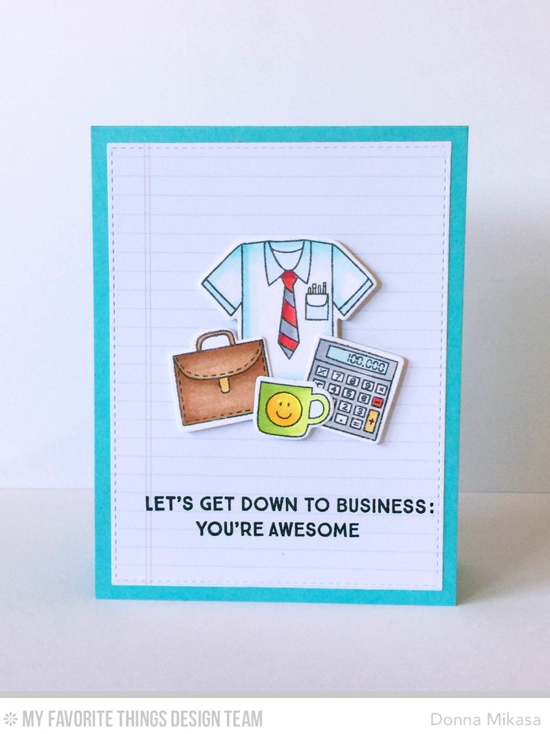 The Get Down to Business stamp set is so great for the guys in your life. I will admit, the card I made for my dad is similar to this one. He doesn't leave the house without a pen in his pocket! For the dad who inspires you, Julia's card is a lovely choice. The outdoorsy feel she created with the Whimsical Woodgrain stamp and Birch Trees Die-namics is stately and fresh. No matter which type of dad yours is, be sure to give him some extra love with a handmade card. Surely, he is your biggest fan! Love all these really cute cards. Happy Father's Day to all dads. I guffaw at that card too! Such a nice array of styles for all the different, fantastic Dads out there! Sure to make them feel the love :) Thanks for the Friday inspiration! I want to sneak another card in tonight ;)!